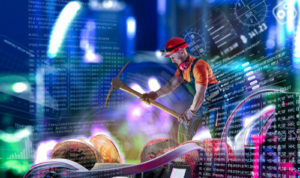 In simple terms, the BFCL ICO will be a chance for investors to join a unique mining platform. Unlike other initial coin offerings such as those hosted by Envion and WePower, BOLTON Coin derives its value from other assets. Basically, investors receive a share of a profit pool based on the number of tokens they own. These profits are generated by mining cryptocurrencies. Although platforms such as Hashflare offer a similar service (i.e. you invest and get a share of mining profits), they only focus on Bitcoin (BTC). With the price of Bitcoin dropping to a point where the mining costs outweigh its value, Hashflare has run into insolvency issues over the last year. BOLTON Coins claims to have the solution for such issues: spreading risk. Although BTC mining will be one of the main ways the platform generates income, the BFCL ICO literature states that it will also focus on other coins. Using a team of analysts, the company’s resources will be directed towards the best performing altcoins, emerging tokens and luxury assets such as gold. By aggregating the profits from a variety of commodities, the owners believe their system will deliver a more reliable form of investment. In essence, what the BOLTON Coin ICO has done is to tokenize business. Profits from mining are put into a central pool. The value of this pool is then converted into BFCL and investors are given an amount of coins equal to their holding. Of course, this isn’t the first time a company has tried to revolutionize the ICO market. In 2018, IOTA posited the idea of raising funds via smart contracts rather than initial coin offerings. However, what BOLTON Coin is doing is taking the concept of ICOs in a new direction, rather than reinventing the wheel. What’s more, it’s not just doing it on a conceptual level. As well as “cushioning” Bitcoin volatility by focusing on multiple assets, the company has implemented a number of practical measures to help generate a profit. With energy consumption a major issue for any mining outfit, BOLTON Coin has ensured its servers are located in “smart” areas. This not only reduces overheads and set-up costs but allows the company to get the cheapest electricity rates possible. Therefore, even if the value of an asset drops, BOLTON Coin’s margins won’t be squeezed as much as other mining outfits. As with any ICO, profits are never assured. However, the developers of BOLTON Coin believe they’ve devised a more reliable system than ones currently on the market today. Additionally, by redefining the notion an ICO, they are bidding to avoid mistakes made by many of the companies listed as scams in 2018. For those wanting to invest in the BFCL ICO, the public sale goes live on April 15. A single token costs 1 ETH and can be transferred via the Ethereum network. A total supply of 1.663.000.000 BFCL will be created and early investors can sell back their profits at any point before the coin is listed on an exchange. The post BOLTOIN Coin ICO Promises Reliable Profits Through Aggregated Mining appeared first on The Independent Republic.